CON BANCARELLE HOBBISTICHE ED ALIMENTARI, ISOLE GASTRONOMICHE, ESPOSIZIONE DI QUADRI, …. 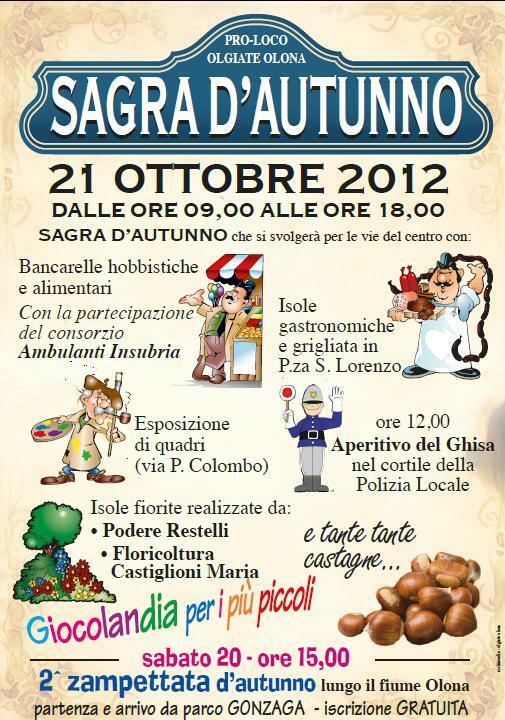 …E ….. TANTE TANTE CASTAGNE !!!!! 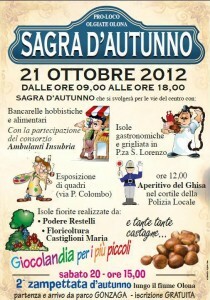 IL 21 OTTOBRE 2012 PER LE VIE DEL CENTRO STORICO DI OLGIATE !! !